They showed us what not to do in Minnesota on Wednesday. Then they showed us again … and again. Oakland’s Josh Donaldson led off the anti-exhibition in the 10th inning by admiring his deep fly ball, which landed just outside the left-field foul pole. Perhaps Perkins would have tolerated the flip without the foul-ball pimping. Perhaps he would have let the pimping slide without the flip. As it was, he took the time to inform Donaldson exactly how he felt about both ends of the equation, yelling toward the plate as he descended the mound. Donaldson came right back with words of his own, and the benches quickly cleared. No punches were thrown. By referencing his own bat flip, it’s pretty clear that Donaldson knows exactly what it was all about. In case there was any question, Perkins put it quickly to rest. It’s unlikely that this will merit further visitation from either of the aggrieved parties, but in case it does, the teams wrap up the series this afternoon. The video doesn’t show the long foul ball admiration but the bat flip is a total non-offense in my opinion. It looks more like a “screw me for striking out” type of flip. That’s why this is interesting. In a vacuum, bat flip = bad, and Perkins is justified in calling him out. Unless the bat flip ISN’T offensive (about which I agree with you: On its own it was pretty innocuous), and Perkins is just being high strung. 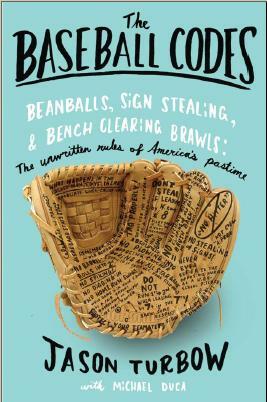 But sprinkle in a touch of bravado via an ill-timed foul ball pimp … which itself may have followed a similar earlier display … combined with the fact that Donlandson has one full year under his belt while Perkins is an eight-year vet … and even if one doesn’t agree with it, the source of the pitcher’s volatility becomes clearer. 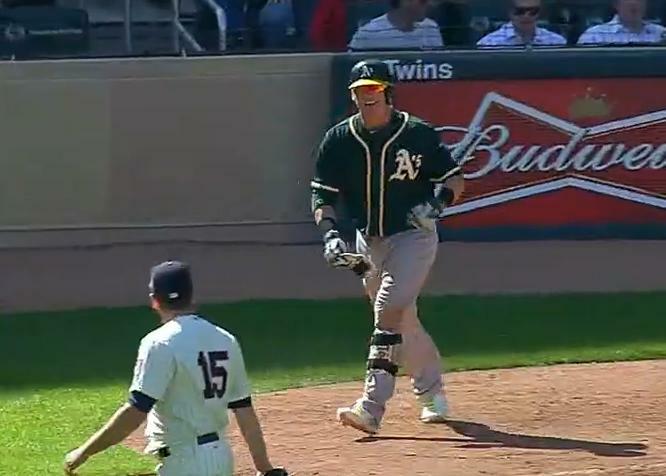 I love how Perkins walked back into the “scuffle” after about 15 guys were on Donaldson. What a coward.